Gnawing on some incredibly realistic-looking bloody fingers isn’t something we’d normally relish — unless you actually add relish. Because they’re bloody hot dog fingers. See what we did there? 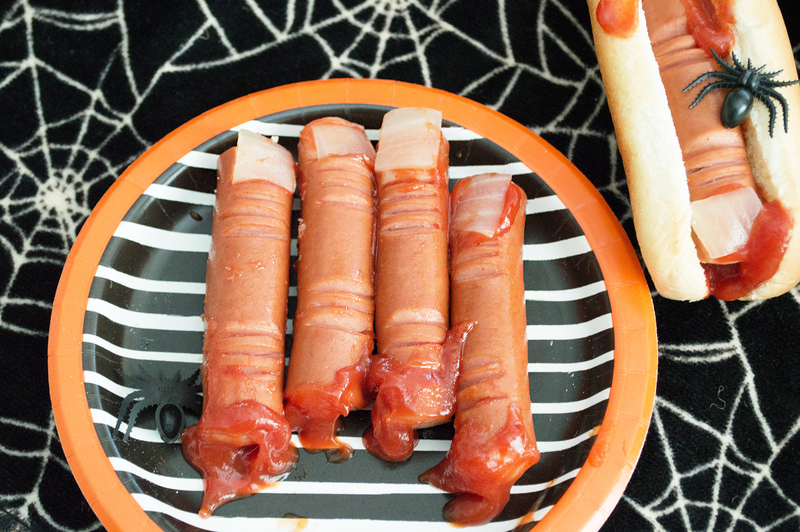 For your next Halloween soiree, we’ve found a way to make hot dogs looks so much like fingers it’s pretty scary. Literally. And it’s actually alarmingly easy to pull off. 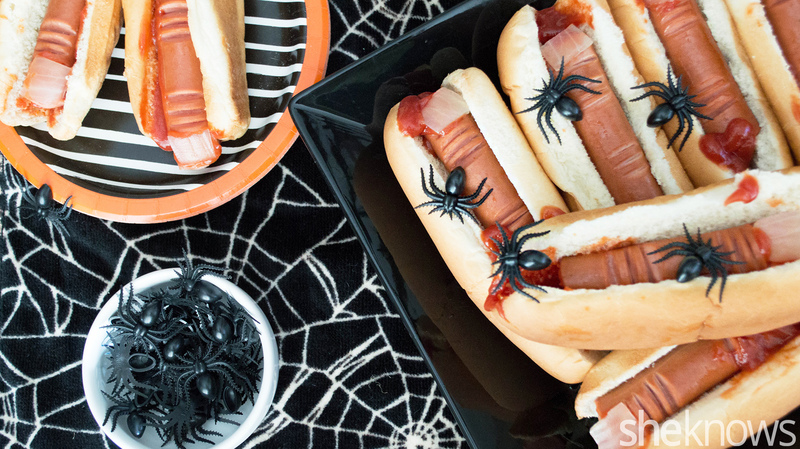 With a few simple cuts in the hot dogs and by dropping them into boiling water for a few minutes, they turn into some creepy-looking apendages. I used veggie dogs in my recipe, but you can use any type of hot dog you like. If you are making these for a party, just do all the prepping before hand, and boil them right before you want to serve them to your guests. With a small paring knife, carefully cut off a small layer of the hot dog at the tip (this will be the area where the fingernail would be), and cut off the other end completely. Right below the area where the fingernail will be, make 3 small cuts on an angle, then again in the opposite direction and again where the knuckle would be. Once the hot dogs boil, this will give them a more realistic look. Do this step with each hot dog until all your fingers are made. Cut the onion in half, and remove the 2 layers of onion skin. Bring a large pot of water to a boil over high heat. Once the water is boiling, drop the onion pieces and the hot dogs into the pot. Boil for about 5 minutes, and then drain. 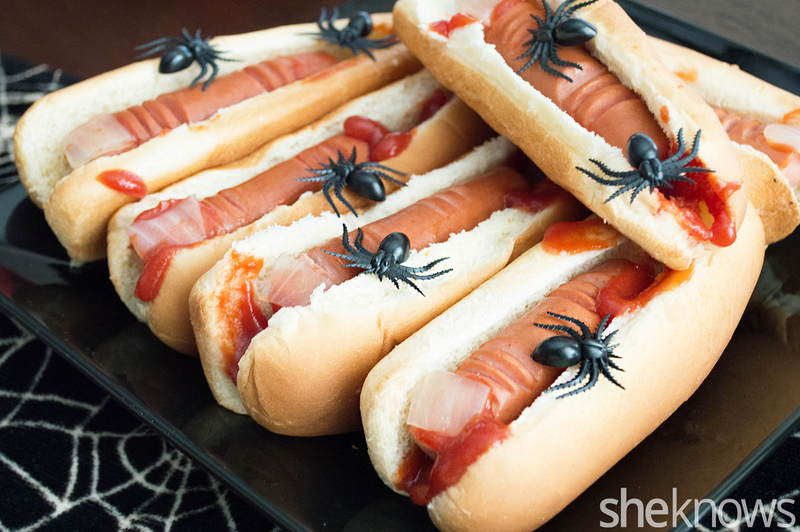 Add a few drops of ketchup on the hot dogs, then place the onion “nail” on top, creating the finger. Once all your fingers are done, put them into hot dog buns, and place them on a serving platter. Garnish with extra ketchup, and serve.